We are proud to sponsor the Australian Water Association Young Water Professionals Development Seminar “Teams to Transform Our World”. Eight of our staff went along to the event and all came back raving about the night. Well done to Alex Brown who provided the welcoming address and emphasised the importance of professional development and her excitement about a different style of event with a topic very relevant to our organisation! 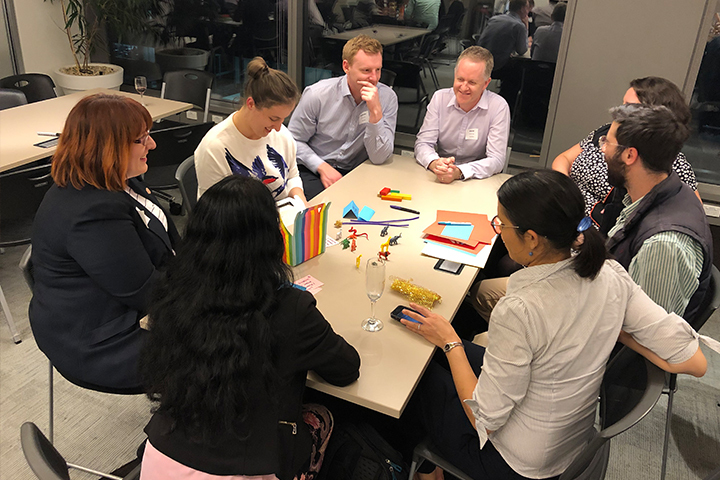 It was great to role play some inclusion scenarios with Monash Business School. Especially the challenge to create an unboxing video reflecting a diversity challenge. South East Water‘s BridgetTrakrar’s captivating presentation gave great insight into diversity being a key ingredient to building dynamic and successful teams.